There are profound implications of a judicial finding that a horse, or any non-human animal for that matter, is a legal entity that has the legal right to assert a claim in a court of law. Such a finding would likely lead to a flood of lawsuits whereby non-human animals could assert claims we now reserve just for humans and human creations such as business and other entities. 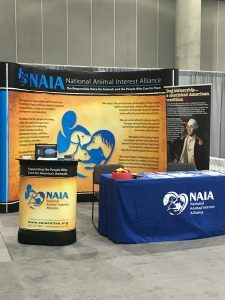 NAIA strongly supports sensible and enforceable laws against animal cruelty. We also support education and research into animal behavior and conditions that enable better standards of animal care. In the case of legal standing to sue, however, we strongly agree with Judge Knowles. We’re all set up and ready to go at the 2018 National Conference of State Legislatures in Los Angeles! This year, our booth is in a perfect position, seen by everyone as they walk in to the event. 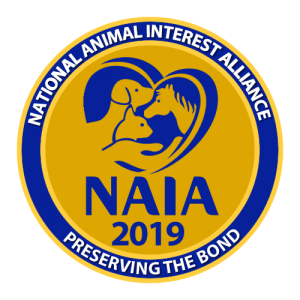 NAIA is proud to speak for (and with) everybody who loves animals, and to help preserve the human-animal bond. 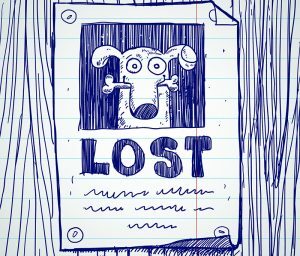 Will will be back with a full recap later this week. Big thanks to NAIA Board Member Patte Klecan for running our booth and helping to get our message out! For more than a decade, we have maintained a presence at the National Conference of State Legislatures (NCSL). 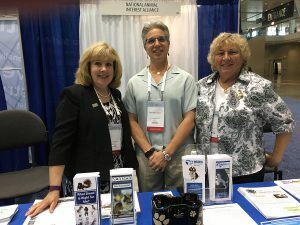 NAIA board members attend to the booth, conversations are had, connections are made, and perceptions are changed. 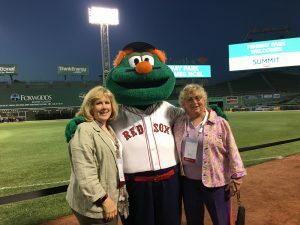 This year, the event was held in Boston, Massachusetts. From left: NAIA Board members Patte Klecan, Dr. Cindy Buckmaster, Nancy Fisk. Why is this event important? Because the entire conversation surrounding human-animal interaction — policy positions, philosophical perspectives, even the language we use — has long been dominated by the ideology of the animal rights movement. Those of us who live, love, and work with animals who have hands-on experience and more mainstream positions on animal welfare and conservation issues are often drowned out. So this event gives us an opportunity to share our perspective and let legislators know that there are organizations out there who not only care deeply about animals, but also the human-animal bond, and positive outcomes that are driven by data. 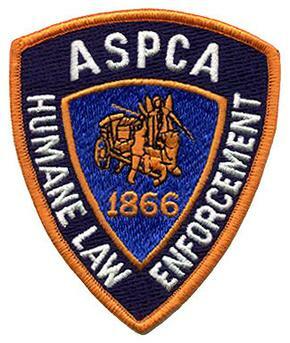 If you work with animals, we are here for you. No. No we are not. NAIA and NAIA Trust are proud to announce a HUGE legal victory by one of our friends in the fight for animal owners’ rights. On April 7, 2017, the US Court of Appeals, DC District, ruled in favor of United States Association of Reptile Keepers (USARK) over the US Fish and Wildlife Service, HSUS, and the Center for Biological Diversity. HSUS intervened in the case filed by USARK, thinking they could crush the little guy and got much more than they bargained for. USARK advocates for the practice of responsible herpetoculture: the husbandry of reptiles & amphibians for conservation projects, zoos, museums, research facilities, education, and pets. The members practice conservation through captive breeding and work hard to preserve the right to do so. Interpretation of a Federal law called the Lacey Act was the main dispute in this case. In 2013, USARK challenged a 2012 rule by the US Fish and Wildlife Service that designated 4 species of snakes as injurious under the Lacey Act. 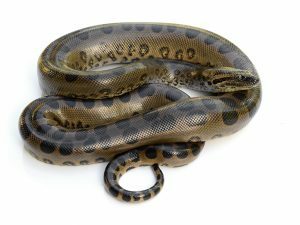 Four more species were added by a rule change in 2015, including the reticulated python and the green anaconda, and USARK amended their case. HSUS and Center for Biological Diversity began as only filing amicus briefs, which is basically interjecting an opinion but not actually participating as a party to the case. They later became intervening parties in 2015. The Lacey Act is a longstanding Federal law that was enacted in 1900, with the principal “object and purpose” to “regulate the introduction of American or foreign birds or animals into localities where they have not heretofore existed.” The Act created a criminal prohibition against importation into the US of certain species, and the empowerment to declare species injurious and add them to regulation as needed. In 1960, the criminalization section was codified and clarified, but as too often happens in the law, was unintentionally made clear as mud. The precise wording in the code prohibits “any shipment between the continental United States, the District of Columbia, Hawaii, the Commonwealth of Puerto Rico, or any possession of the United States.” This small sentence and its interpretation was the entire issue here. FWS recently decided to interpret the sentence to bar shipments not only from other countries into the listed locales and between the listed locales, but also between the 49 continental US states. 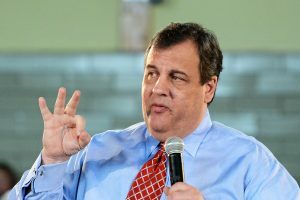 HSUS and CBD supported this interpretation, USARK disagreed. 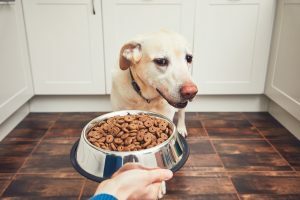 Injunctive relief was awarded by the D.C. District Court to USARK and its members in May 2015, which FWS, HSUS and CBD then challenged through appeal. The Federal Court of Appeals affirmed the District Court decision. The Court used a plain language interpretation to come to their decision. The Court found that the use of the word “between” introduced the list with a one-to-one relationship between the listed items. It does not speak to the relationships within any listed objects, but prohibits one-to-one within the list. The court gave the example of there being no games between the NFL teams, MLB teams, and NBA teams. While there will not be football v baseball games or baseball v basketball games, there will be games between football teams themselves and so on. The same goes for shipment under the Lacey Act—it does not speak to shipment WITHIN one of the listed jurisdictions but BETWEEN only the listed jurisdictions, such as between Hawaii and the continental US states. If there had been intent for the law to mean interstate, there would have been no need to reference Hawaii separate from the continental US. Not only did the court interpret the plain language, but looked to the history of the Lacey Act overall and found that to also be consistent with the plain language interpretation as well. The Lacey Act originally addressed only foreign species but as the country and travel evolved, limited it by land space further: barring shipments from other countries and between islands to the continental US. 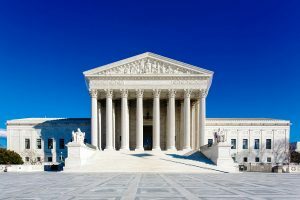 Although this ruling has withheld entry of final judgment while the time lapses for the FWS, HSUS, and/or CBD to file an appeal, the likelihood of one being granted to even hear the case much less win on the merits is quite low. There are some side issues to be clarified still under this preliminary injunction, but bottom line is that this was a major victory for USARK. The Court (consisting of a three-judge panel) ruled unanimously in their favor. The years of hard work, perseverance, and let’s be honest, the funding it takes to fight a case of this magnitude for this long, has been well worth it. We congratulate USARK on a very hard earned and momentous victory! On Friday, we mentioned that Wyoming is considering a bill to make misrepresenting a service animal a misdemeanor, a law that is no doubt simple common sense for many. Then, like clockwork, the story of Patsy Hayes and her latex-detection dog, Andromeda popped up the next day. Patsy Hayes is severely allergic to latex, and Andromeda lets her know latex is nearby, in order to steer clear of it. 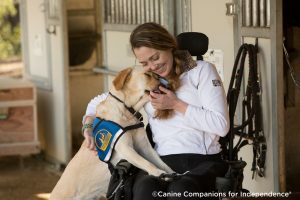 This story is a timely reminder of the value of service dogs, and of the varied, perhaps unexpected services they can perform. The word “allergy” conjures up images of swollen eyes, dripping noses, maybe a rash — and in most cases, that is the extent of an allergic reaction. But anaphylaxis, Patsy’s reaction to latex, is far more severe: it can be life-threatening and brought on by extremely low levels of exposure. Years of training dogs to detect explosives and narcotics for the U.S. military and law enforcement agencies led Gavin to branch out in 2009 and focus on teaching dogs to detect an array of compounds — including nuts, milk, wheat, eggs and soy — that create serious allergic reactions in her clients. Some of the afflicted, she said, rarely left their homes, didn’t go to school or movies, parks or churches — or even visit friends — out of fear of an allergy attack. Not the service dog of yesteryear, but a valuable job indeed!